Shraga Weil was born into a traditional Jewish family in Nitra, Czechoslovakia in 1918; in 1931 the family moved to Bratislava. Weil dropped out of high school and worked in the building industry for two years, afterwards, becoming apprenticed to a local sculptor in Nitra. In 1937, he began studying art in Prague but following the outbreak of the Second World War, was forced to flee and spent the war years in Budapest forging papers for the Hungarian underground. In 1943, Weil was arrested and sent with his wife to a concentration camp, from which he managed to escape in 1944. After the war, Weil designed books for the Hehalutz movement (a Jewish Zionist youth movement that trained young people for agricultural settlement) and in 1948 moved to Israel. 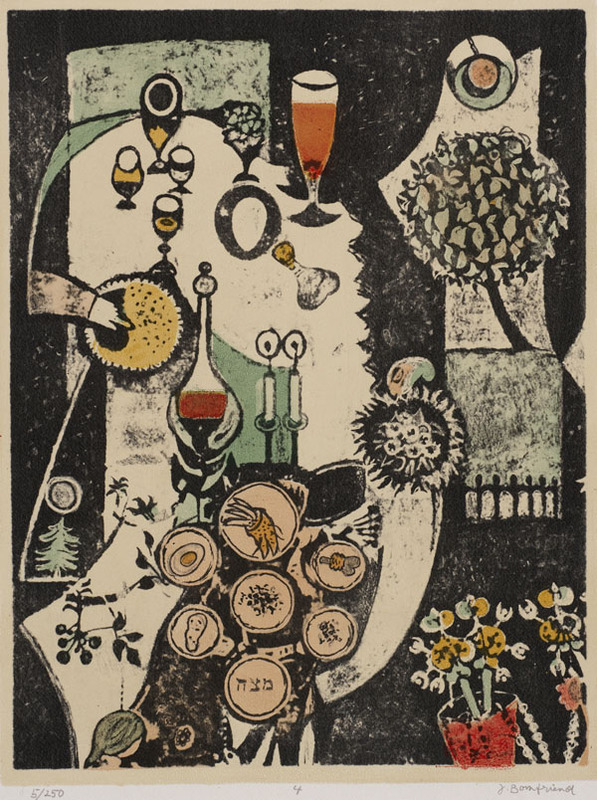 From 1952-53, he studied art in Paris, specializing in printmaking, reliefs and wall murals. 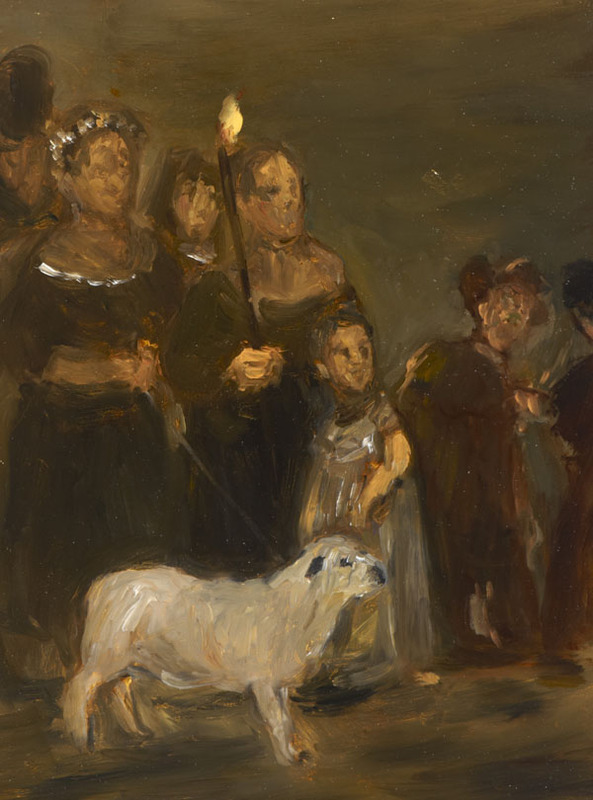 His early work was similar in style to the socialist art embraced by the Kibbutz Ha’artzi movement. 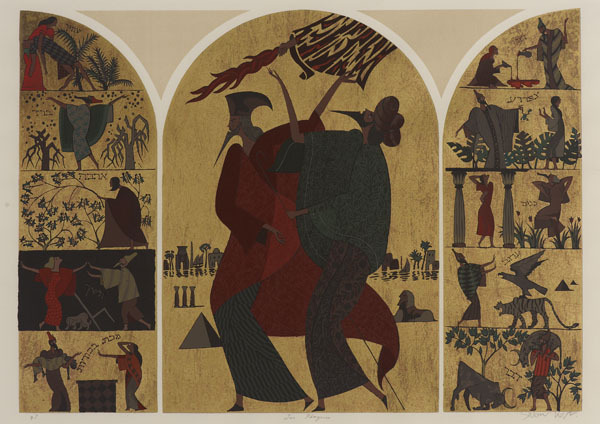 From the 1960s onwards, he began to incorporate Jewish symbols and iconography into his works. In May-June 1962 Ben Uri held a joint exhibition of the works of Shraga Weil and Melitta Schiffer. Weil is best-known for the entrance doors to the Knesset (1996), the entrance door of the President’s House and the ceramic wall on the facade of the Great Synagogue in Tel Aviv. 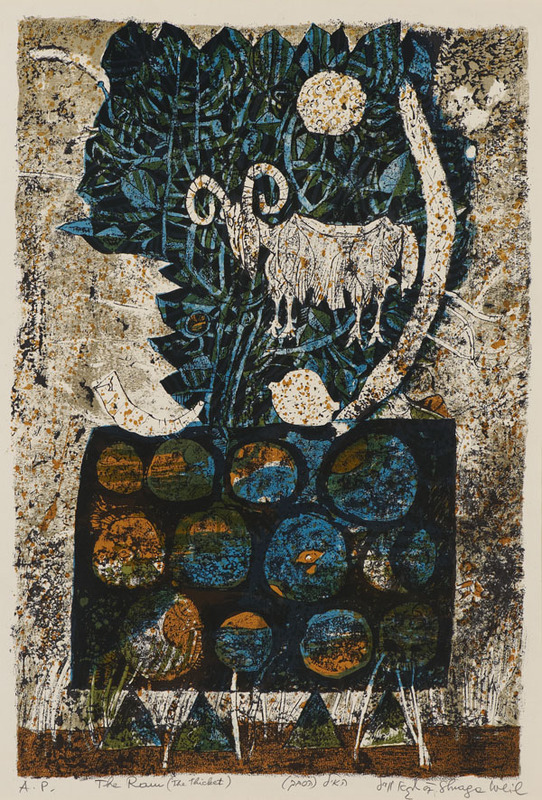 Weil began to incorporate Jewish symbols and iconography into his works from the 1960s onwards.The sacrificial lamb or Paschal lamb was traditionally slaughtered on the eve of Passover and eaten on the first night of the Jewish Passover holiday with bitter herbs and matzo. This work featured in the BBC2 drama series 'The Honourable Woman', starring Maggie Gyllenhaal.